The Victoria and Butchart Gardens Tour is a favourite for many of our tour guides. From a scenic perspective, it’s easy to see why. Unlike so many cities where historic architecture has begun to crumble under the pressures of time and gentrification, Victoria has maintained and preserved their vibrant Victorian buildings seen along both commercial and residential streets. Government Street, in particular, is especially known for its awe-inspiring moments. 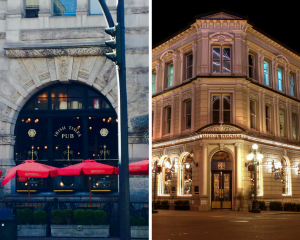 It doesn’t matter which map you look at when visiting Victoria, it’s plain to see that Government Street connects you to almost anything you could want downtown. Generally, whenever a Landsea tour guide conducts a Victoria tour, we drive up Government Street turning into Chinatown to get back to the wharf. Even though our guides try to point out their favourite places, it’s hard to catch everything. Most maps only include the main attractions and can’t fit all the details. So here is a list of some of the best spots on Government Street. One of my favourite moments whenever I visit Victoria, is turning onto Government Street. You can also hear how excited visitors get once you make that turn. 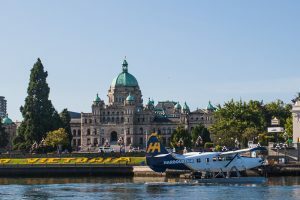 That’s because, within this little corner of British Columbia’s capital city, you not only get to see the famous Fairmont Empress Hotel, the Royal BC Museum, and the provincial parliament buildings, but also a breathtaking view of the water. In fact, if you image search the words “Victoria BC,” all you see are various photos of these four things. It’s easy for time to fly by when you’re snapping photos here. Don’t worry though, if you want to stick to what’s familiar, there are also quite a few chain restaurants located on Government Street (and yes there is a Starbucks too). Victoria’s Chinatown is the second oldest in North America and always deserves a visit. 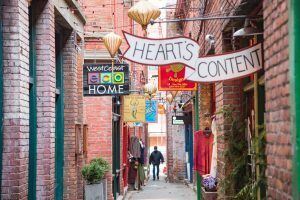 As long as you aren’t claustrophobic, try visiting Fan Tan Alley – the narrowest commercial street in Canada. Containing both history and culture while being a cute bucket list spot, Chinatown is usually as far as we recommend tourists go and we find few guests wander farther north beyond this point. 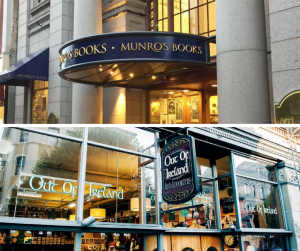 If you find yourself with a few extra minutes to spare on your trip, there are a few other places that are worth visiting that can be accessed through Government Street. While this post offers the highlights of what can be seen, we personally recommend visiting for yourself. 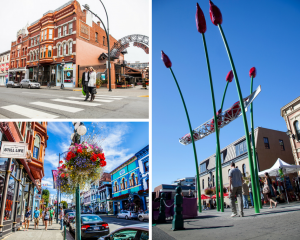 With a harmonious blend of Victorian sophistication mixed with a modern appeal that rivals European cities, Government Street offers travellers a way to explore the vibrant highlights of British Columbia’s capital city.